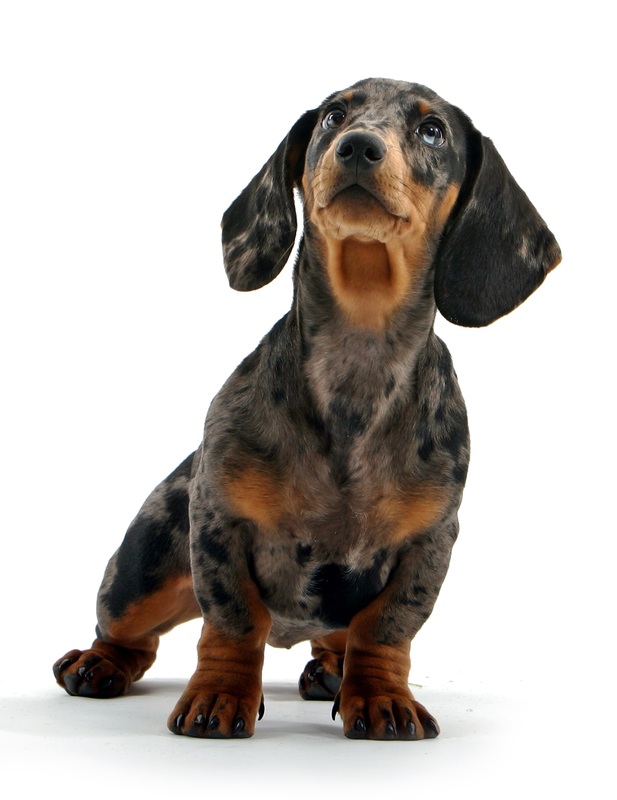 There are three varieties of Dachshund the short-haired, the wired-haired, and the long-haired. With each of these varieties there are three sizes. The sporty and devoted Dachshund is an elongated, vigorous, muscular dog with short legs. He/she carries him/herself proudly and has an intelligent expression. Their eyes are dark red or brown-black with an energetic and friendly expression. 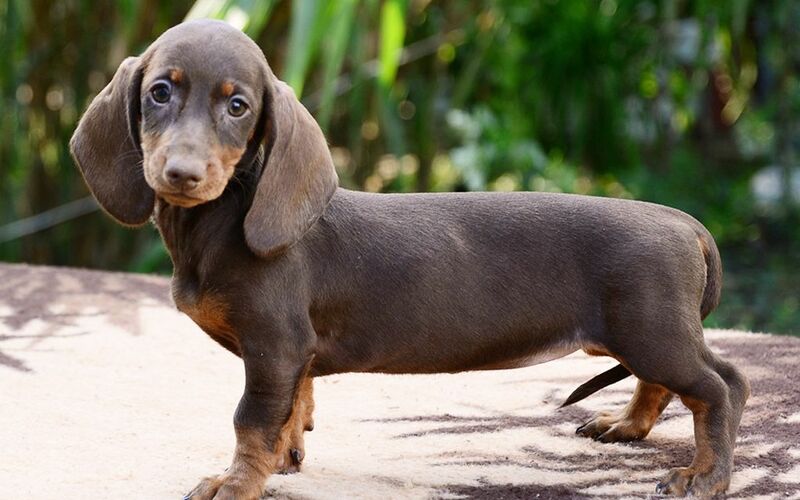 The short-haired Dachshund’s coat should be shiny, sleek and uniform. Solid-colored Dachshunds may be tan or yellow. 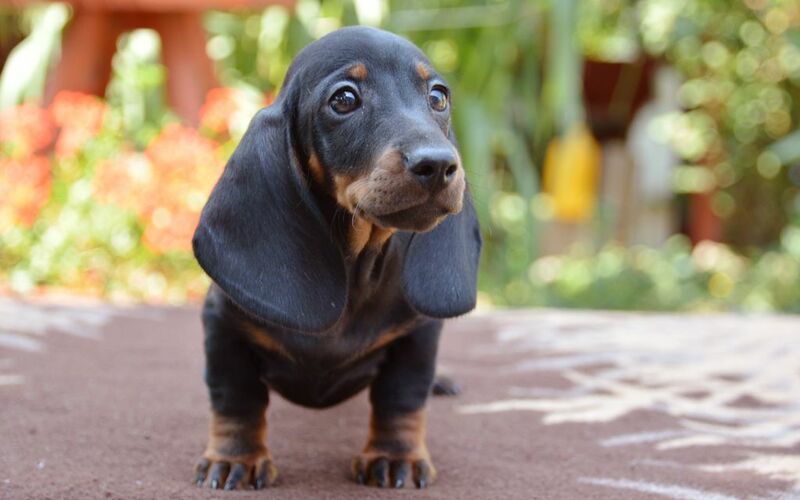 Bi-color Dachshunds may be deep black, brown, or gray with areas of bright chestnut. There are also piebald, speckle-streaked, or harlequin varieties. They make an excellent family dog. Despite their small size they make a good watch dog with a surprisingly loud bark. They may be slightly aggressive to strangers. 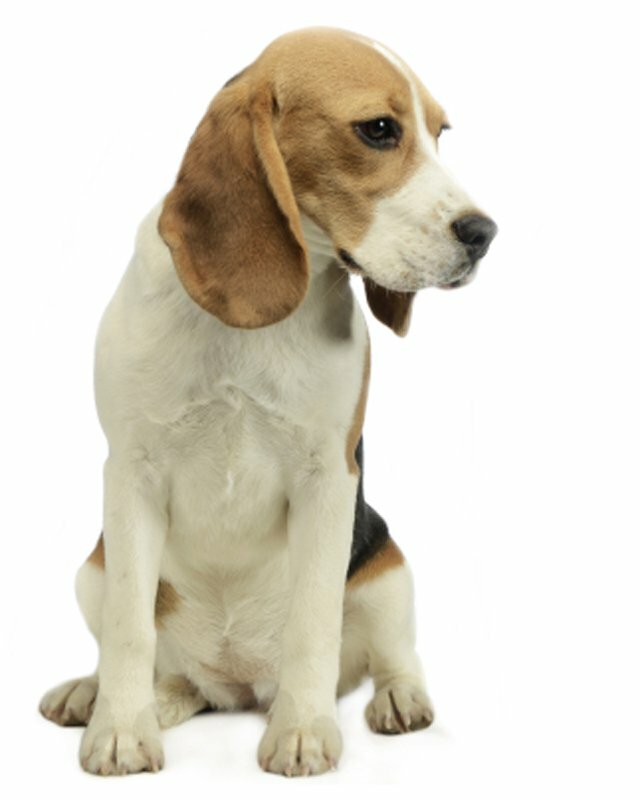 This breed has an intelligent, alert, facial expression. 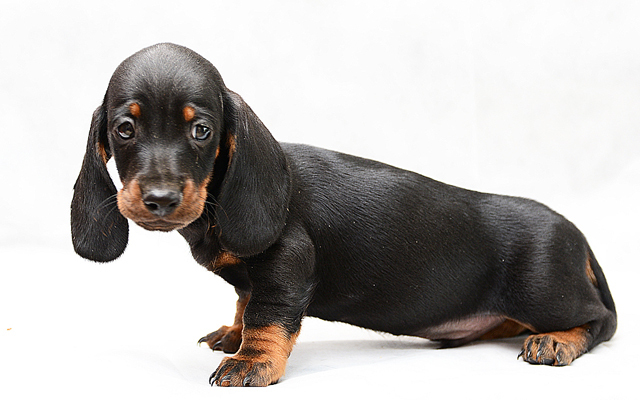 There are six varieties of Dachshunds smooth-haired, wire-haired and long-haired in two sizes, Standard and Miniature. 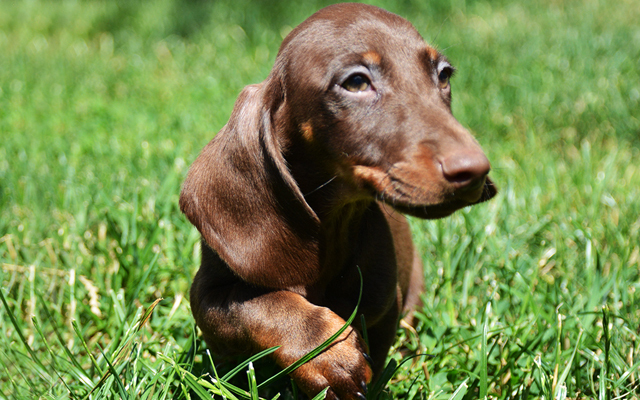 The smooth-haired Dachshund is the originally strain, the wire-haired and the long-haired were attained by crossing the smooth-haired with other breeds. Dachshunds are lively and affectionate; proud and bold, almost rash. They can be willful and curious, clownish and mischievous. These dogs are very clever. They are devoted to his/her family. The wire-haired variety is more outgoing and clown-like. All are slightly difficult to train. Dachshund dogs are good dogs to travel with. These dogs are best with older, considerate children and are moderately protective. 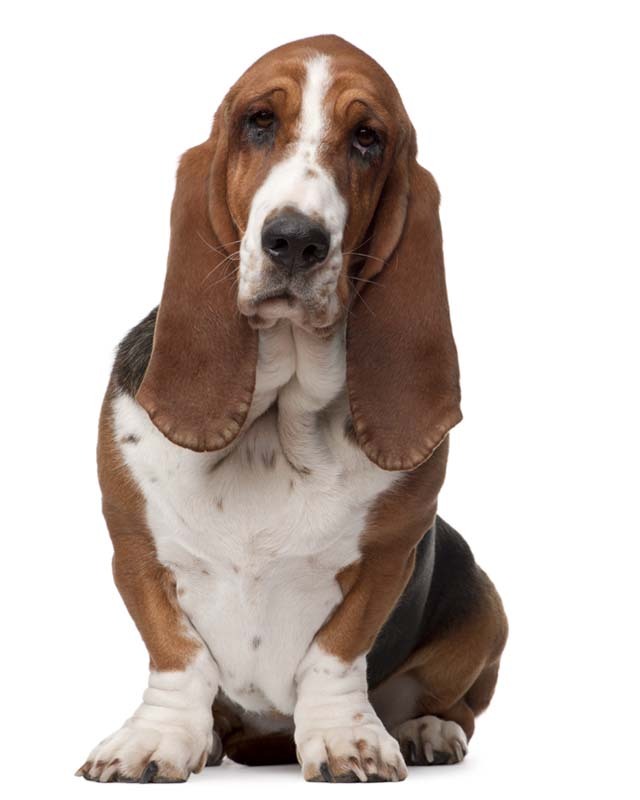 They are generally okay with other pets, however, they can be jealous, irritable, obstinate and very quick to bite. These dogs like to bark (their barks are surprisingly loud for their size) and are compulsive diggers. They should not be over fed, for this breed tends to gain weight quickly. Smooth-haired – dense, short and smooth, long-haired – soft and straight, and only slightly wavy, wire-haired – short, straight and harsh with a long undercoat. Long-haired require daily combing and brushings; wire-haired need professional trimming twice a year, and smooth-haired require regular rubdown with a damp cloth. This breed is an average shedder. 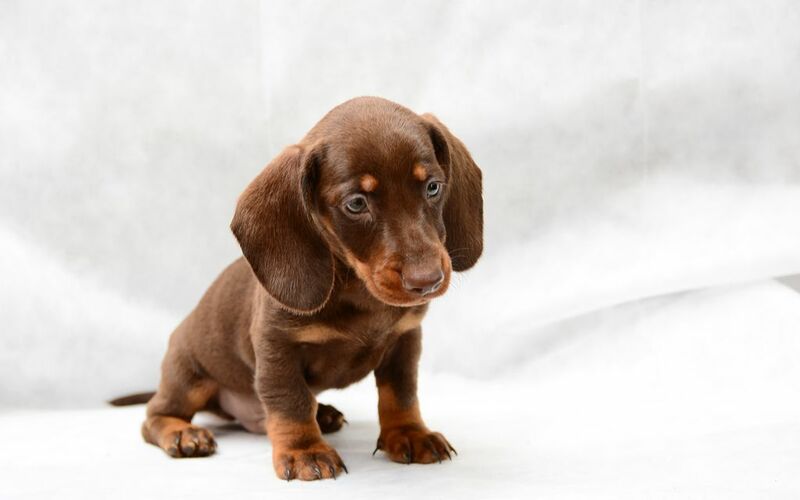 Due to their size and shape they are always prone to spinal disc problems (Dachshund paralysis) – do not let them become overweight or jump from heights. They can develop heart disease, urinary tract problems, and diabetes. Dachshunds have a tendency to become overweight and lazy. This is a serious health risk, putting added strain on the back. So be careful feeding your Dachshund. They are also subject to genetic eye diseases and skin problems. 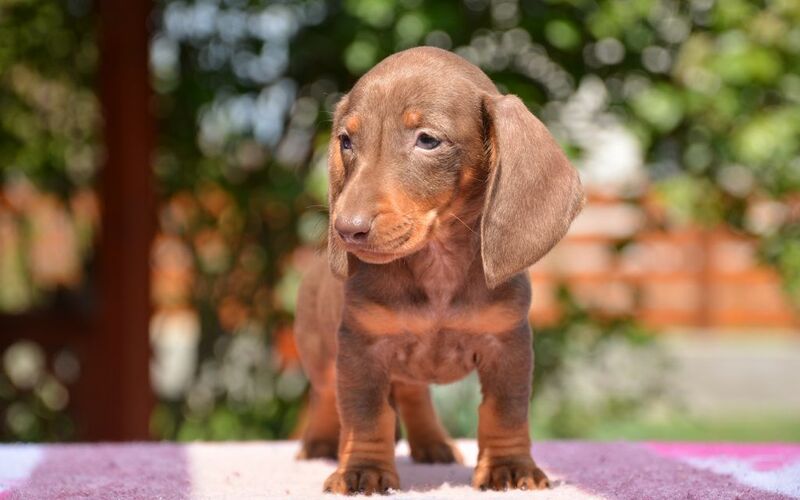 To minimize the risk of your Dachshund developing any hereditary health issues, you should buy a Dachshund puppy from a reputable breeder. Excellent pet for an apartment or house, city or country. Be aware they can bark loudly. Be careful in wet or snowy weather because their low body can be affected. Seien Sie vor Allem, wenn eine neue Dackel Rasse zum Markt kommt. I consent to receive Notifications when new Dackel puppies are posted.